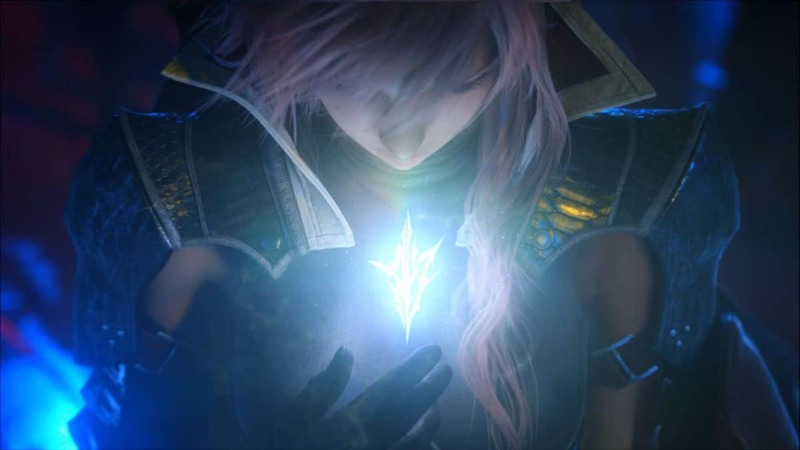 A recent event held in Tokyo for Lightning Returns: Final Fantasy XIII has helped reveal more information for the upcoming title. Some of that was already released before but most of what was said is new. We’ll be able to purchase several kinds of accessories like glasses, earrings and pendants from several shops, in addition to the usual weapons and shields, and there’s also a restaurant (while it’s function isn’t known yet). Initially the range of products available will be limited but it’ll increase as the story progresses. Lightning will be able to wear her own costumes from Final Fantasy XIII and XIII-2 and Yuna’s costume from Final Fantasy X, explaining the presence of X|X-2 HD Remaster on the official crossover site. A super-cute decoration that puts Mog from Final Fantasy XIII-2 on her head is also present. Inventory capacity is very limited (only six slots), but will increase as the story progresses. There are four main areas in the game: Luxerion, Yusnan, the Wilderness and the Dead Dunes. Luxerion features mostly investigative gameplay. Yusnan is the city of pleasure, and features a lot of time-sensitive quests. The Wilderness are a big, open world area that encourages exploration even on the back of a Chocobo, while the Dead Dunes are a desert home to some of the most deadly monsters. There are a lot of different weapons and shields: 70-80 swords and a bit fewer shields. Their color cannot be customized. There’s no card minigame this time around. It’s possible to change color to several parts of the costumes, and in addition to default colors it’s also possible to make our own from Photoshop-like color picker, and to create presets. Vanille from Final Fantasy XIII will make a comeback in the game. Killing enemies will reward you with new abilities. Character customization is very important. The right one can finish off the last boss in under 50 seconds. You can ride a chocobo in the Wilderness level as it is said to be open world. The costumes can change your victory pose and win music as well. Lightning’s bust size is increased from C cup to D cup by Toriyama. There will be costumes that make your bust size bigger or smaller. Did Warner Just Let Slip a New Mortal Kombat Title?